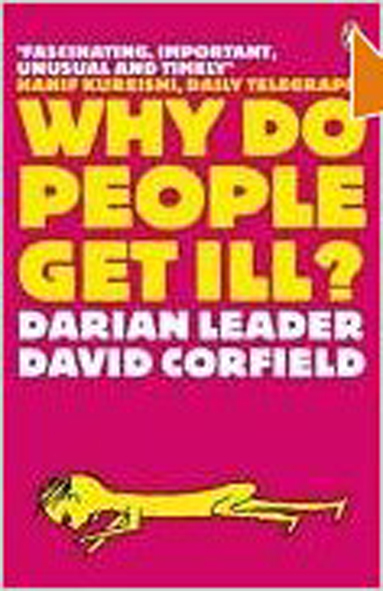 Endless political debates about how to deal with the ever-increasing costs of funding for national or private health provision all fail to get the central point – namely that in capitalist economies, the medical diagnosis and treatment of illness is essentially big business and money-driven – exploited for the promotion of new medical drugs and technologies. That is why a few big pharmaceutical corporations or ‘Big Pharma’ make more profits than any other industry and all the Fortune 500 corporations put together – together with having the worst criminal record of any other industry in the form of bribery, corruption, misinformation and misrepresentation of their products. What is conventionally regarded as ‘science-based’ or ‘evidence-based’ medicine is actually nothing of the sort – given the corners cut by Big Pharma in testing new drugs, in informing the public on their true and often minimal efficacy, in warning them of their side-effects and often serious dangers – not to mention the massive sums of money spent not on costly ‘R&D’ but purely on marketing the latest drugs and treatments to doctors and surgeons. Even the most reputable medical professionals and ‘experts’ are now regularly paid to have articles offering misleading ‘evidence’ for the efficacy and ‘safety’ of new drugs and medical technologies published in their name – whether or not they have participated in that research or even so much as read the articles sent for their signature. In reality, modern medicine and its treatments have been acknowledged by the Journal of the American Medical Association itself to be the third leading cause of death after cancer and diabetes. Capitalism has turned patients themselves into commodities for sale by their physicians – offering a source of profit not just through drugs but through expensive hi-tech testing and ‘treatment’ technologies. All this at massive expense to national health services and/or to the profit of private health providers milking health insurance companies. The truth is that illness is essentially big business, that Big Pharma is Big Bucks and Bad Medicine, and that today’s ‘evidence-based’ medicine is essentially Money-Driven Medicine. Indeed any drug or new medical technology that actually ‘cured’ a disease would be fatal for the profits of the entire Medical-Industrial Complex. 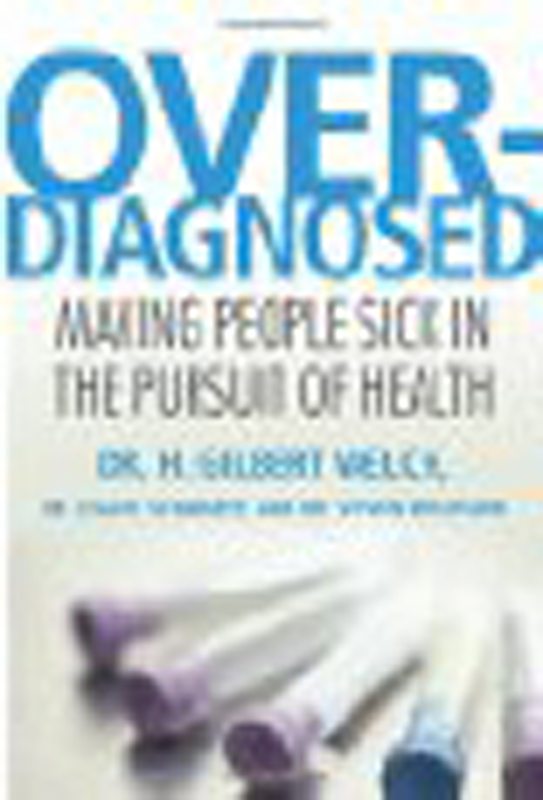 Nevertheless the promise of cure is constantly promoted by this multi-trillion dollar medical industry – one with vast lobbying power and almost complete monetary control of regulatory organisations such as the Food and Drug Administration in the U.S.A.
To put it bluntly, there are surely understandable reasons for people feeling or even getting seriously anxious, depressed or sick if they can’t afford earn a living wage, can’t rent or pay for housing, if their homes are threatened with foreclosure, if they face a daily threat of joblessness – or can see no chance of realising their life potentials. Yet modern ‘scientific’ medicine consistently ignores such reasons for both mental and physical illnesses, instead reducing them to a result of chemical imbalances in the brain or biological ‘causes’ of one sort or another. 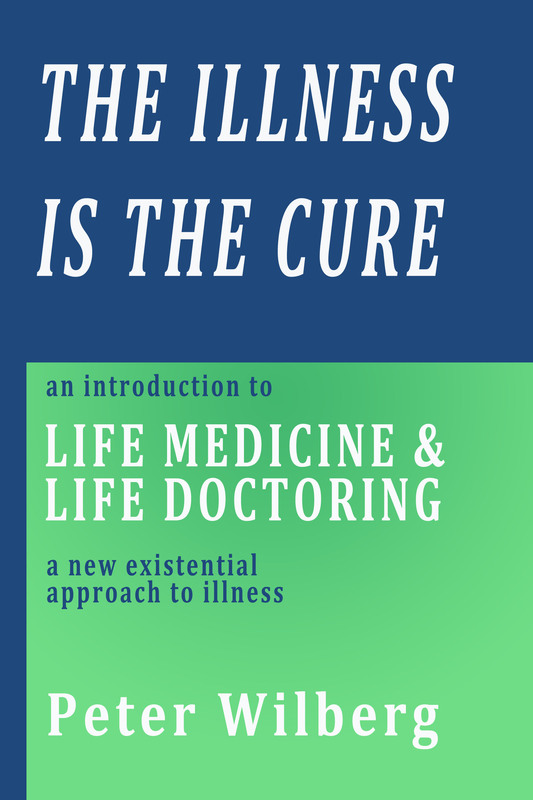 In this way it totally denies all life-meaning to illness – and its relation to the innate sickness and sickness-generating effects of capitalism itself. Not only ‘complementary medicine’ – itself a commodified and commercial health ‘industry’ – but also proponents and practitioners of alternative psychosomatic, psychoanalytic and even ‘existential’ understandings of illness frequently either ignore or downplay its social, political, economic dimensions. For since illness is ‘big business’, capitalism also profits from it in another way – by manufacturing it on an industrial scale through the dis-ease generated by what Marx called wage-slavery. This is the prostitution of the individuals’ ‘labour power’ i.e. their bodies – to make profits for an employer, only for the employee to be casually disposed of through unemployment at times of economic downturn. Yet what ‘employment’ itself means in capitalism is that anyone from skilled and experienced workers, to unemployed graduates, budding artists, musicians or scientists whose education or training, skills, interests and actual work has no current ‘market value’ can be forced into employment in the form of any low-paid job offered to them, even if it doesn’t even pay them a minimum or living wage – or in no way actually ‘employs’ their true skills, gifts or potentials. In these circumstances, illness can thus serve as a form of mute political protest at the economic demands imposed by capitalism and the distress this imposes on people. For it offers the individual time to temporarily reclaim their body as their own, and allow it to embody and symbolically register their felt dis-ease and distress in what, for most, is the only socially acceptable way – through medical disease symptoms. The problem is then that their bodies are immediately reclaimed by medical professionals and the medical-industrial complex, in a way that actively furthers the process of translating and transforming an individual’s felt ‘dis-ease’ into some medically diagnosable ‘disease’. The patient’s body is perceived and treated as a biological machine – rather than as a living embodiment and living biological language of the human being. And as with any other machine, the aim is to repair it and restore its economic functionality. For just as capitalism identifies work with ‘employment’ (wage-slavery) so also it identifies health purely with economic ‘functionality’, i.e. the capacity for ‘employment’. This has recently become ever clearer through the plans in Britain to rename what was previously called ‘Incapacity Benefit’ into something called ‘Employment Support Allowance’ – receipt of which will now be dependent on tests carefully planned to show that almost totally irrespective of the individual’s medical condition – indeed even if they a terminally ill – they are still capable of employment of some sort – even if they can’t get a job, it does not pay a living wage – and is damaging to both their medical and their essential ‘health’ i.e. their capacity for living a meaningful and fufilled life. The role of the doctor in what is ever-more evidently a money-driven money is – paradoxically – to rule out entirely from consideration the larger life context in which an illness first manifests – not least its economic context and the effect of the latter on the patient’s social world and relationships. Thus loss of housing, jobs or life opportunities of the sort that lead to disheartenment and loss of heart on the part of patients count for nothing – until and unless this loss of heart manifests as diagnosable symptoms of ‘heart disease’. These are then, like all other forms of illness, cold-heartedly treated as if they had nothing to do with the patient’s actual life whatsoever. The role of the doctors is principally to act and do – to treat patients and not to talk to them – and certainly not to listen to them, to hear their inner ‘dis-ease’ and learn about the health of their lives. The seemingly idealistic aim of improving patients’ health and ‘saving’ or ‘extending’ patients’ lives through medical tests and treatments of all sorts is pursued at any cost to their bodies as a result of serious side-effects and at whatever expense to their real health i.e. their quality of life. The result is a veritable epidemic of ‘preventative’ screening, resulting in over-diagnosis and over-treatment – even of people with no symptoms whatsoever. This leads in turn to widespread ‘iatrogenetic’ (medically caused) illnesses – which then require yet further medical treatments. A prime example is screening men for prostate cancer by conducting blood tests which measure their level of ‘PSA’ (Prostate Specific Antigen). If this is found to be above a set figure, intrusive biopsies are then regularly conducted. These can produce the very symptoms of prostate cancer they were supposed to prevent from emerging – as well as increasing the likelihood of any actual cancer spreading through the body. Yet as many doctors admit, most men die with and not from prostate cancer – whereas surgical and drug treatments for it can and often do dramatically reduce their quality of life, for example through making them impotent or incontinent. Constant government, media and press propaganda regarding ‘health risks’ of all sorts, together with mass screening programs, serve a vital role in maintaining money-driven medicine and the medical-industrial complex – creating a type of mass hypochondria which feeds it with new patients to be medically processed or peddled with new drugs. To read the whole of Chapter 2 of Medical Nemesis click here.